Hey, Careful, Man, There’s a Beverage Here! TTB, CBD, and the Production of Beer - Ward and Smith, P.A. So you brew beer? Cool. 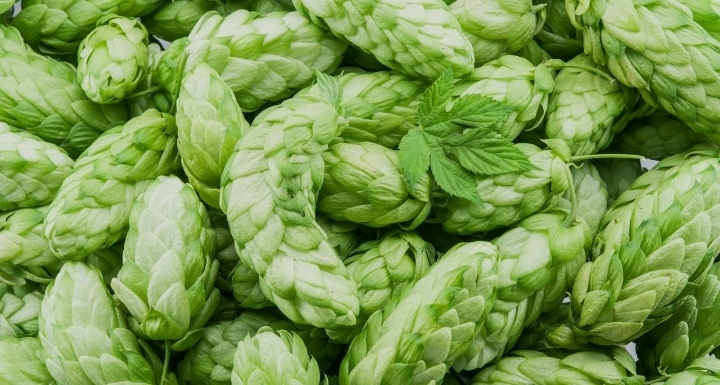 So you want to brew a beer with cannabidiol? Even cooler. Don’t know what cannabidiol is? That's ok. You probably know it as "CBD" – the highly popular cannabinoid that was recently legalized by the federal government, when it is derived from hemp. Everyone in the industry is excited about the prospect of CBD infused beverages. It can potentially be used in all types of non-alcoholic and alcoholic products, including malt beverages. And the rush to use CBD in malt beverage products should not be surprising. Both hemp and hops, a critical ingredient of malt beverage products, belong to the same family of flowering plants called Cannabaceae. In a world of ever increasing craft producers and shrinking market share, many brewers view the use of hemp and hemp-derived products, like CBD, as an opportunity to expand both their customer and products base. Hemp and CBD are generally regulated by the federal government, although individual states can opt into primary regulatory authority if they choose to do so. For more on the current state of hemp regulation in America, read this. Although the U.S. Department of Agriculture has been legislatively assigned primary regulatory oversight of our nation's cultivation and production of hemp, the Food and Drug Administration ("FDA") has also flexed its muscle to regulate the use of CBD in food, drug, cosmetic, and dietary supplement products under the Federal Food, Drug & Cosmetic Act (the "FD&C Act"). For more on that topic, read this. Generally, and at least for today, the FDA has publicly stated that it is unlawful "to introduce food containing added CBD or THC into interstate commerce…" Real questions exist as to the enforceability of that position, but is it the position that the FDA has taken so far. And, as it turns out, "food" – as that term is defined in the FD&C Act – includes drinks and the components of those drinks. It also includes chewing gum! But that's not relevant here. Right now you're probably thinking "Ok, so malt beverages are drinks, and drinks are regulated by the FD&C Act, so my malt beverage products must also be regulated under the FD&C Act." That's a reasonable and logical thought! But… nope. beverage made by the alcoholic fermentation of an infusion or decoction, or combination of both, in potable brewing water, of malted barley with hops, or their parts, or their products, and with or without other malted cereals, and with or without the addition of unmalted or prepared cereals, other carbohydrates or products prepared therefrom, and with or without the addition of carbon dioxide, and with or without other wholesome products suitable for human food consumption. If you are brewing malt beverages, you are subject to the FAA Act and your licensing and regulatory bodies are the TTB (on the federal level) and, at least in North Carolina, the NC ABC Commission (on the state level). Ok, I Get It. So How Do I Brew With CBD? Formula approval from the TTB is required before you can use any hemp ingredients in the production of an alcoholic beverage product. Today, this requirement applies whether or not you intend to distribute the product across state lines. And, the TTB has made it clear that it will consult with the FDA, when appropriate, to determine whether or not a hemp ingredient is allowable for use in a beverage. The TTB will also typically defer to the FDA's interpretation of the relevant laws (including the FD&C Act) when considering label and product formula approval applications. At least for now, it appears it will be an uphill battle to obtain TTB formula approval if your product contains hemp-derived terpenes or CBD. This could change as the regulatory framework surrounding hemp and CBD continues to develop. But, if you're itching to get a "hemp beer" to market now, hemp seed oil, sterilized hemp seeds, and mature hemp stalks are already acceptable hemp ingredients for obtaining TTB formula approval. Products like The Hemperor HPA™, produced by New Belgium Brewing Company, already incorporate hemp hearts (seeds) in their production. When you submit the product formula to the TTB for approval, you'll also have to include a lab analysis of the hemp ingredient(s) you are using and a detailed description of the method of analysis used by the testing lab. The TTB also requires you to retain and store certain information at your brewery for inspection, if needed. Label approval from the TTB (called a Certificate of Label Approval, or COLA) is also required if you plan to sell your malt beverage product across state lines. Labels submitted to the TTB must specifically identify the hemp ingredient used in a way that makes clear it is not a controlled substance. You must also be careful not to give the impression that the beverage contains a controlled substance or that it has effects similar to those of a controlled substance. In other words, you'll have to put your creative juices to work to create a product name, text, and graphics for the label that does not trigger a denial by the TTB. Similar concerns may also arise in the context of brand protection (i.e., trademark registrations) with the U.S. Patent and Trademark Office. Once you've worked through the federal requirements imposed by the TTB, you will also have to comply with your state specific product approval and labeling requirements. In North Carolina, product labels for malt beverages must identify the brand name of the product, the name and address of the brewer or bottler, the type of product (e.g., beer, ale, porter), and the net contents of the product. And, you are required to submit to the ABC Commission an original copy of the intended product label, a product analysis certification, a copy of the federal COLA (if being sold across state lines), and the required application fees. The government has to get its money! Does this sound like a lot of rules? Are you thinking about bypassing these requirements and going straight to market with your CBD-related malt beverage product? Not so fast. You worked hard (and invested a lot) to get your Brewers Notice and your state-level commercial and retail licenses. Don't you want to keep them so you can continue brewing and selling your malt beverage products? Yeah, we thought so. If you don't follow the rules, you risk losing the government issued licenses and privileges required to lawfully operate your brewery. But with the recent legalization of hemp and hemp-derived CBD, and with no certainty that the FDA will continue to wag its finger at the use of CBD in food and beverage products under the FD&C Act, many brewers are still pushing to create CBD related malt beverages in the hopes of gaining early approval and a competitive advantage. We encourage anyone considering hemp or CBD related product manufacture or distribution – and brewing in general – to seek legal counsel before investing significant time and money. Ward and Smith's Hemp Law and Alcoholic Beverage Law practice team can advise you as you work through these and other complex legal issues. © 2019 Ward and Smith, P.A. For further information regarding the issues described above, please contact Derek J. Allen, Tyler J. Russell or Allen N. Trask, III.